As the world of OTT continues to evolve, becoming the primary viewing option for more and more people across the globe, offering a seamless user experience (UX) is fast-becoming a competitive differentiator. In short, if your platform is difficult to navigate or viewing quality is poor, you can kiss goodbye to your subscribers (both potential and existing). And concerning the ‘UX factor’, the consumer checkout experience is no exception. Before a viewer even entertains the idea of subscribing to a video streaming service, he or she must develop a positive attitude on the viewing experience on offer, and perceive the value of accessing the platform’s content worthy enough to purchase for extended periods of time. That said, this task can become quite delicate, where even the smallest distraction in the buying decision stage can disengage a prospective viewer, or subscriber, and lead to a further loss in sales. To win here, you need to make the entire checkout process seamless to avoid cart abandonment. 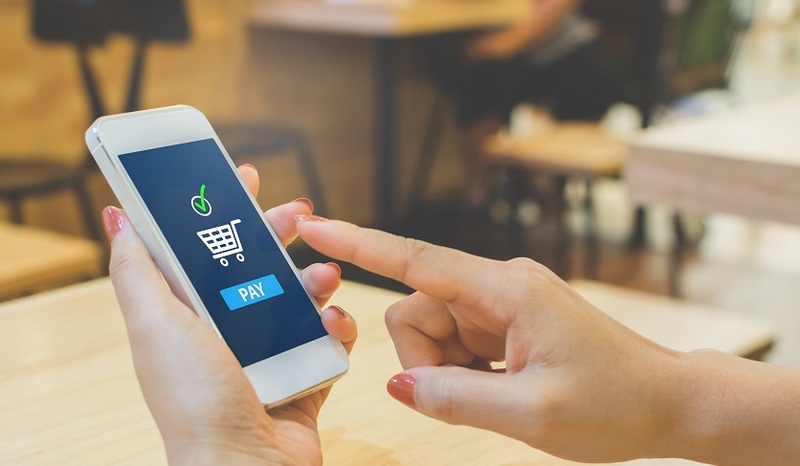 To help you on your quest to OTT checkout perfection, here are some essential tips to help you optimize your buying journey and attract more customers. Using single-sign-on linked to Facebook, Gmail and email from the get-go will offer viewers a far simpler way to identify and authenticate users. In just one click, you are well on your way to purchasing content. Extensive registration forms that ask too many questions would otherwise “turn off” busy mobile users short on time. Here, simplicity is key. This goes without saying, but the entire checkout process must default to local languages while being straightforward enough to switch to alternatives. Media companies that have grand ambitions to expand their video business internationally must consider this and make it a seamless experience – no compromises. The ability to develop a tailored and custom sign-up process for your OTT service can be a crucial one. Service providers prefer to build their own checkout based on tech vendor APIs. Built with UX/UI design best practices. The entire checkout process, for that matter, must avoid all distractions during every step. So, you should remove ads, sidebars and any pop-ups that could potentially divert the user away from selecting the subscription plan and completing the payment transaction. Nothing is more irritating for an online consumer than not understanding why certain costs don’t add up after honing in on a subscription service to make a purchase. Be transparent in explaining, not only the order to be purchased and for how much it will cost, but ensure list out the sales taxes or VAT. These differ per state and country, so accurate, real-time compliant sales taxes is an absolute must. Taking into consideration that OTT services can potentially distribute video content far and wide, media companies can keep things simple for the subscriber by only showing relevant payment methods for specific geographic regions. Media companies may offer a host of payment methods worldwide, but subscribers only really care about their handful of preferred payment methods. And, this includes making mobile payments seamless by enabling Apple Pay, Google Pay and Paypal that also pre-fill payment information for easy, secure (mobile) transactions. Avoid cart abandonment by automatically reminding online consumers that order items still exist in their checkout cart. You can do this via an email reminder captured through the authentication process, or with a notification on the website when the consumer returns. It may even be worthwhile to trigger a notification before the user logs out or leaves the website. 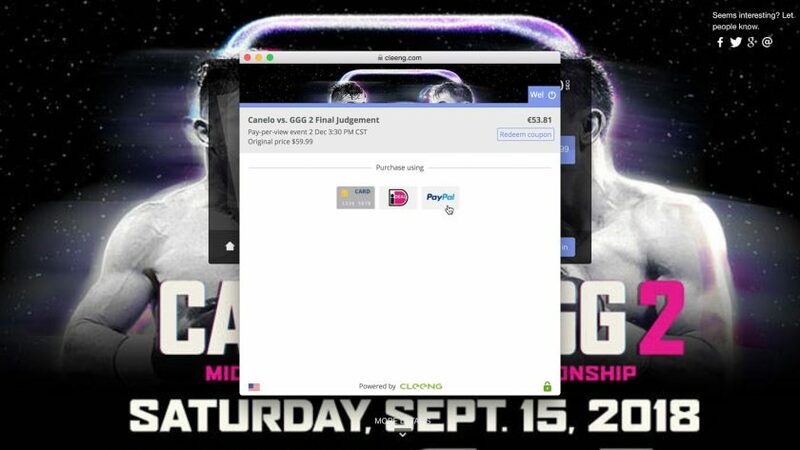 The clean checkout experience of the Canelo vs GGG 2 PPV setup was key for keeping conversions high. As part of any successful e-commerce business, OTT services building a subscription-based business around live or on-demand streaming experiences must consider what it takes to create a frictionless checkout experience. In the end, viewers must feel comfortable, secure and informed during the purchasing process before they begin consuming video content – and if you want to enjoy a sustainable level of success in this business, that’s an experience you MUST provide. How can you get the most out of your PPV service?